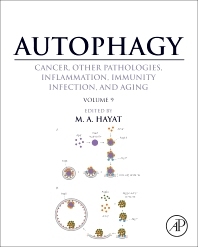 Autophagy: Cancer, Other Pathologies, Inflammation, Immunity, Infection, and Aging: Volume 9: Human Diseases and Autophagosome offers a valuable guide to both cellular processes while helping researchers explore their potentially important connections. Volume 9 emphasizes the role of autophagy in diseases, such as leukemia, antifungal and antibacterial immunity, and transplantation. This volume also explains, in detail, the molecular mechanism(s) underlying the formation of autophagosomes, including the progression of omegasomes to autophagosomes. This information is important because one of the major functions of autophagy is to degrade and eliminate excessive, old, and harmful materials from the cell. Autophagosomes receive these materials (cellular cargo) and transport them to lysosomes for degradation. Lysosomes contain the digestive enzymes (hydrolases) that breakdown proteins, lipids, carbohydrates, etc. (self-digestion). To further explain this phenomenon, the role of the endoplasmic reticulum (ER) in the formation of autophagosomes is discussed. ULK1 and Beclin 1 proteins are also important in the initial formation of autophagosomes, and are also discussed. 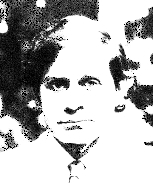 Because much of the early research in this area was carried out using yeast cells, the role of Golgi complex in the autophagosome formation in these cells is explained. This volume also includes an explanation of the role of the autophagy-related gene ATG5 in cancer (e.g., gastrointestinal cancer). Paradoxically, autophagy is a “double-edged sword” because it eliminates some pathogens, whereas it can be used by some intracellular pathogens to multiply and cause infection. This book is an asset to newcomers, providing a concise overview of the role of autophagy in necrosis and inflammation, while also serving as an excellent reference for more experienced scientists and clinicians.